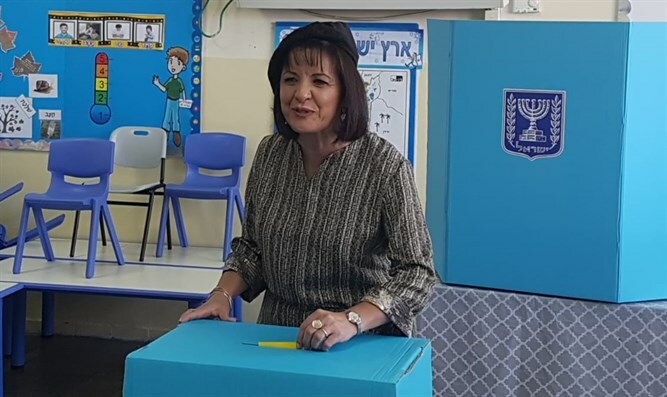 Yesterday were the municipal elections for Beit Shemesh. Incumbent Moshe Abubul, who has already served two terms, faced off against challenger Dr. Aliza Bloch. And the winner is... unknown! That's right. With over 40,000 votes counted, it is so close that the winner will be unknown until tomorrow, when the remaining few hundred votes from soldiers, disabled people and prisoners are counted. Regardless of who actually wins, it is clear that Aliza Bloch was amazingly successful. When her candidacy was first floated several months ago, many people, including myself, were deeply skeptical. We viewed it as naive waste of time and energy. After all, in the previous elections, the non-charedi candidate lost. And since then, the mayor has been stuffing as many charedi voters into the city as possible. So what chance could she possible have? Not to mention the fact that she is a woman! (No sexism on my part, just a recognition of how many people unfortunately feel.) A seasoned politician told me that he was worried that Aliza would not only lose, but lose with an embarrassingly low number of votes. Boy, were we wrong. Aliza Bloch ran the most extraordinary campaign. She had boundless energy and presented an amazing vision. She was relentlessly positive and always took the high road. The contrast with Abutbul's campaign was striking. 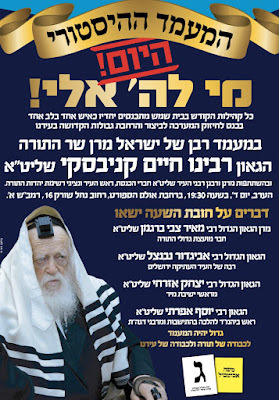 While the Bloch campaign spoke about how we need to have a united city, and had people from across the spectrum on its list, the Abutbul campaign spoke about how Bloch (a frum woman who gives a weekly shiur) is anti-charedi and anti-Torah. While the Bloch campaign spoke about how we need to improve the infrastructure and services of Beit Shemesh for the good of everyone, the Abutbul campaign spoke about how it is essential to vote for a council that will provide Charedi needs. While Bloch said that no matter who you vote for, she will be there to serve you, Abutbul said that if you don't vote for him, don't come knocking at his door. 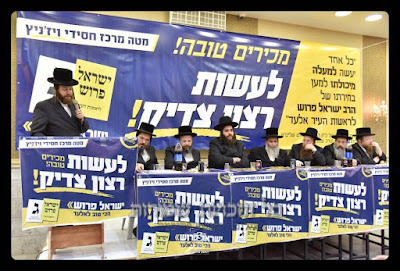 While the Bloch campaign appealed to voters to make their decision according to what's best for the city, the Abutbul campaign told voters that regardless of what they personally think, they must do what the Gedolim say. The fact that the race is still too close to call is highly significant. It means that a very, very lot of charedim voted for Aliza Bloch. This is despite the enormous social pressure against doing so - all the signs and announcements that the Gedolim and the local rabbonim say that you have to vote for Abutbul, in order to promote unspecified "Torah values," and all the threats against people who vote for Aliza. It looks like we are seeing a new movement in the charedi world, where people see through the sham of "Daas Toyrah," and return to a more traditional community model in which the rabbis do not direct politics. I suspect that this trend will increase, although in general I try not to predict the future, except in hindsight. It will be strengthened if Aliza does end up winning, and people will see how she is not out to destroy Torah and religious life, as various charedi rabbis and campaigners claimed. So, big congratulations to Aliza Bloch, and apologies for ever doubting her! In the charedi community, there is a carefully-crafted non-rationalist worldview about bitachon and hishtadlus. It was relentlessly drilled into me during my years in charedi yeshivos that all hishtadlus is meaningless. God directly controls everything, and the laws of nature have no power. The only reason why the world seems to run according to various laws is that otherwise there would be no free will. Hishtadlus is just a price that we pay to keep that illusion going, but it doesn't actually accomplish anything. And to the extent that we recognize that, it's possible to cut down on the hishtadlus. Supposedly, this is a major reason why many charedim don't serve in the army or gain a secular education and work for a living. To the extent that you realize that Hashem directly runs everything, you don't need to engage in the sham of hishtadlus. I'm not talking about the worldview itself, per se. Of course, the rationalist worldview, based on Rambam and many others, firmly disagrees with that approach. According to the rationalist Rishonim, the laws of nature are one of God's greatest creations. It's crucially important to respect them and work within them - and it leads one to respect laws in the religious domain, too. What I am describing as nonsense is the notion that all these charedim actually believe what they think they believe. Because when it comes to elections, bitachon goes out of the window. According to charedi hashkafa, it shouldn't make the slightest difference whether you put a slip into the box or not. Hashem decides (in fact, has already decided) everything. It doesn't make a difference who wins the election. And yet, the charedi community puts as much energy into campaigning as everyone else - in fact, more so. Their efforts result in a higher turnout than any other community! Sometimes, aware of this discrepancy, people will try to explain it away. They claim that it's not about getting people to vote, per se; rather, it's about getting people to make a statement about the importance of "Torah" (i.e. charedi political power). But who are they trying to kid? If that was really all they are trying to do, they wouldn't ever either cheat or be worried about others cheating. And if it's all about making a statement about the importance of Torah, surely the best way to do that is to, y'know, actually learn Torah, not run around doing political campaigns! I wish people would just make up their minds and be consistent. Either you believe that hishtadlus is real - in which case, give your kids the education that they need to earn a living. Or, or decide that it's not - in which case, don't bother voting, just learn Torah! UPDATE: I should make it clear that this applies to mainstream, but not all, charedim. At both ends of the charedi spectrum, there are those who act otherwise. On the left are charedim who do believe in normal hishtadlus for everything. 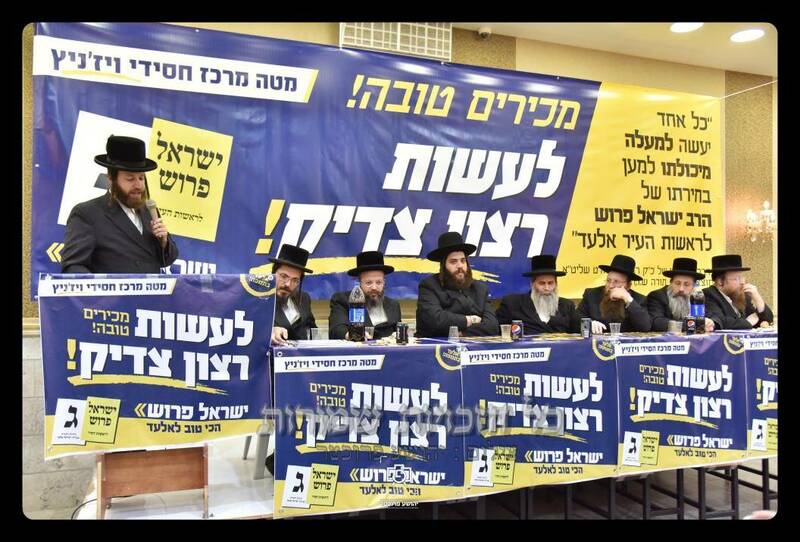 And on the right are charedim who are against doing hishtadlus for elections and even against voting. They, too, call out the mainstream charedi world for hypocrisy. In many ways, Mishpacha magazine is a remarkable development and a positive influence in the charedi world. For example, it features positive profiles of non-charedi people, which is quite the accomplishment for a society that usually tries to avoid endorsing anyone who does not share its values. 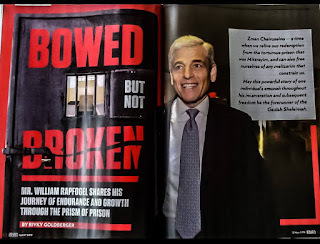 And it even features columns openly admitting to, and criticizing, problems in charedi society, such as with Jonathan Rosenblum's legendary "Kollel is Poison" article, and his even more extraordinary article about how "We All Need Charedim To Get Academic Education And Professional Employment." Still, there are some ways in which Mishpacha perpetuates and strengthens problems. One of these is that it constantly, and without exception or qualification, gushes over "Gedolim." They are presented as superhuman repositories of wisdom, righteous without flaw, whose guidance everyone is expected to follow. 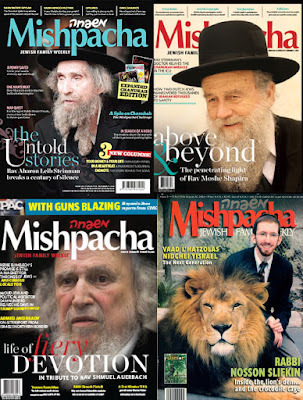 One of the more notorious instances of Mishpacha unwittingly misleading people is with its feature story on the holy kabbalist Rav Eliezer Berland. Since then, Berland has been exposed as one of the most evil people of the generation - a master manipulator who sets himself up as an idol, financially exploits his disciples, attempts to destroy his opponents, and takes advantage of women. Still, he has numerous devoted followers, and you don't see Mishpacha retracting their praise of him or warning people about him - indeed, their puff-piece about him is still on their website. This is an extreme example. The more common problem is the general impression given by Mishpacha about what Gedolim are, and the consequences of this for the general public. And the most prominent example of that is with Rav Chaim Kanievsky. Rav Chaim Kanievsky is an utterly selfless person who has dedicated his entire life to the study of Torah. But Mishpacha endorses and strengthens the popular myth that he is much more than that. He is presented as a leader with unique insight into every situation. In one particularly ludicrous case, Mishpacha presented Rav Chaim's two-word wish of blessing and success to somebody as an example of his giving guidance as to which yeshivah the person's son should attend! Aside from there being no good reason to believe that Rav Chaim Kanievsky benefits from any supernatural source of insight, or even reliable wisdom, there is very clear evidence that he does not benefit from it. In a well-publicized case, Rav Chaim made the beracha for seeing a king, with Shem U'Malchus, upon meeting a man who presented himself as an African King - whereas anyone with basic critical skills would have realized immediately that he was a fraudster. And in a much more serious case, Rav Chaim wrote a letter attesting to the righteousness of Elior Chen, the worst child abuser in the history of Israel. When my neighbor wrote to ask him how he could attest to the righteousness of such a man, Rav Chaim responded that he did so because other rabbis did so! You won't find that letter reported in Mishpacha, and many people will simply avoid thinking about it and its staggering ramifications. Notwithstanding Rav Chaim's tremendous hasmadah, there is no reason to believe that he is wise, well-informed, or responsible in his proclamations; on the contrary, there is clear evidence against it. And yet I have met people who go to him with life-and-death questions regarding medical treatment! And there are people who are not vaccinating their children, drawing support from his ruling that schools may not refuse admission to such students. And as I write these words, he has been schlepped to a hall down the road from me, in order to tell the assembled crowds who they must vote for in the municipal elections next week. There are thousands of people who apparently believe that Rav Chaim is aware of the needs of a city that he knows nothing about, and that he can evaluate the relative merits of different political candidates when he been told nothing other than what his party handlers have told him. For Heaven's sake, my fifteen-year-old daughter has a better understanding of the city and the politics than he does! Nor does it end with Rav Chaim Kanievsky. Rav Moshe Shapiro once told someone to beat an old woman to death because he mistakenly believed her to be masterminding an abuse ring in a secret dungeon. Rav Aaron Leib Steinman once gave a talk down the road from me in which he claimed that there is zero correlation between secular education and parnasa. Rav Edelstein, yibadel lechaim, told a stadium of Beis Yaakov girls that if they leave the Beis Yaakov system, they won't succeed with parnasa or shiduchim. These are the people that should be making decisions for everyone?! It certainly would not be true to say that no Gedolim are wise - many Gedolei Torah have been very wise indeed. However, being rated as a Gadol certainly does not necessarily mean that one is wise. There are countless people who make decisions that are, at best, ill-informed, and at worst, life-threatening, because they have been led to believe that Rav Chaim Kanievsky and others like him should be making the decisions for them. Anyone who contributes to the myth of his Daas Torah shares responsibility for that. It's that time of year again... so here is the slightly expanded version of my original post regarding the Deluge. Over the years I've received numerous questions about reconciling the traditional view of Noah's Flood with modern science. There are two sets of problems. First are those concerning the scientific impossibility of such an event - how the animals survived, how they traveled to their various locations, where the water came from, etc. These can all be answered by simply positing numerous miracles, but this is not satisfactory for those who follow the approach of Rambam and others which seeks to minimize supernatural miracles. The second set of problems is based not on the scientific impossibility of such an event, but instead upon the evidence that even a supernatural event of this nature did not happen - i.e. the evidence and records of continuous civilizations throughout the entire period. There are a variety of different ways of approaching this topic. I tried discussing some of them online back in the summer of 2004, which may well have been one of the factors leading to the infamous ban on my books, and my comments were subsequently widely and wildly (and sometimes deliberately) misquoted. So instead of discussing it, I will just provide references to further reading material which shed light on various different approaches. Many people will condemn these approaches as unacceptable, but until they have a credible response to the scientific difficulties with the simple understanding, they would be wiser to remain silent. First and foremost, I strongly recommend that people struggling with this difficulty read The Challenge Of Creation, preferably the third edition. I only explicitly deal with the flood in footnote 2 on page 302 (third edition), but there are many other parts of the book which are actually more relevant in terms of determining which options are available and acceptable - in particular, chapters 6-8, and 14-15. Rabbi Gedalyah Nadel, BeToraso Shel Rabbi Gedalyah, pp. 116-119. Umberto (Moshe David) Cassuto, From Adam to Noah (Jerusalem: Magnes Press 1961). Rabbi Dovid Tzvi Hoffman, commentary to Genesis, pp. 140-141. Rabbi J. Hertz’s “Additional Notes to Genesis” at the back of The Pentateuch. Rav Kook's letter on literalism, translated here. Marc Shapiro's postings on this topic (I, II, and commentary by Rav Moshe Shamah here). Natan Slifkin, "Historical Records Vs. Dramatic Accounts"
Lorence Collins, "Yes, Noah's Flood May Have Happened, But Not Over the Whole Earth." 1. The Feast of Legends from the Sea was amazing! A full write-up is forthcoming, but meanwhile you can look at a partial photo album at this link. 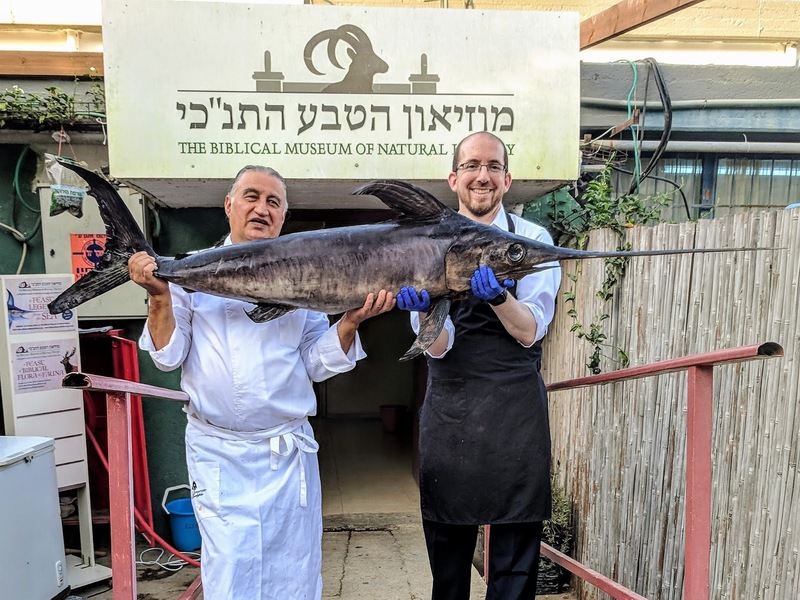 Regarding the kashrut of the pièce de résistance - the swordfish - see my article at this link. 2. In this week's Jewish Press I have an article about creation and evolution, which you can read online at this link. Unfortunately in the print edition they edited what I wrote - in the version that I sent, I did not describe people as being "ignorant of modern science." 3. I am traveling to the US next week. For Shabbat parashat Noach, I am speaking at Young Israel of Brookline (Boston); for parashat Lech Lecha, I am speaking at Beth Aaron in Teaneck. On Tuesday October 16th, I am speaking at the Sixth Street Synagogue in Manhattan, on the topic of Rationalism vs. Mysticism. 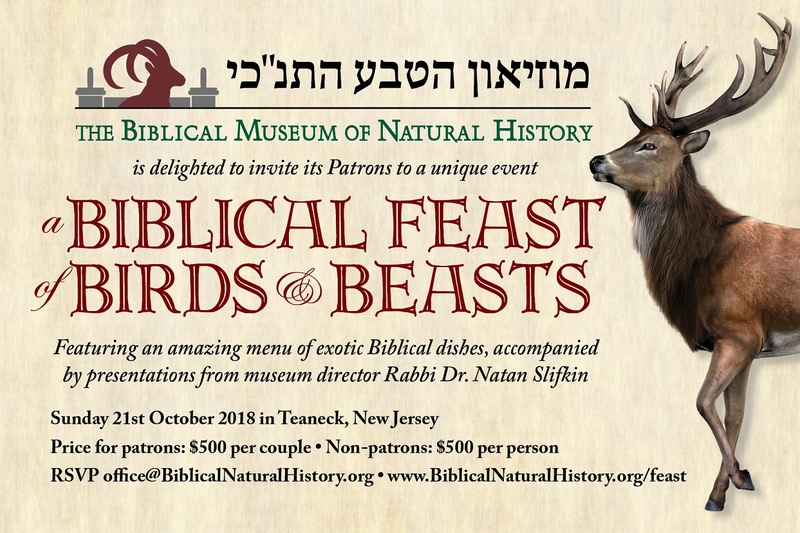 If you'd like to arrange a lecture, or a meeting about the development of the Biblical Museum of Natural History, please email me. 4. Our next spectacular museum event is in just over two weeks, in Teaneck - A Biblical Feast of Birds and Beasts! If you're interested in attending, write to office@BiblicalNaturalHistory.org.